Product Detail Summary: One scoop or two? 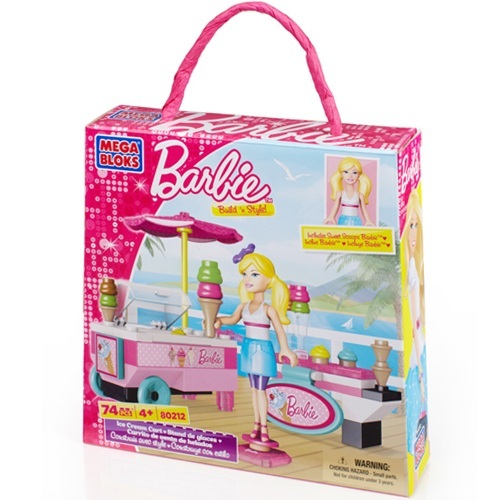 Line up for the coolest treats in town at the Mega Bloks Barbie® Build ‘n Style Ice Cream Cart! This buildable, glittery confection cart is just the thing Sweet Scoops Barbie® and her friends need to keep their cool on a hot summer day! Comes with cones, sundae cups, and lots of ice cream!